XFP is a heat exchange, independent of the communication protocol of the optical transceiver, usually the size is 850nm, 1310nm or 1550nm, for 10Gbps SONET / SDH, Fiber Channel, gigabit Ethernet, 10 gigabit Ethernet and other applications, Also includes DWDM links. The XFP contains a digital diagnostic module similar to SFF-8472, but has been extended to provide robust management tools. The XFI electrical interface specification is part of the XFP Multi Source Agreement specification. XFP is the most compact form factor is the most expensive optical module, XFP so it has a great advantage. XFP has been considered a new generation of products following Xpak or X2, and many vendors have now released their own XFP optical module products. Compared with several other optical modules, XFP is the optical transceiver (Transceiver) is not the optical transceiver module (Transponder). XFP Optical transceiver is actually just a photoelectric conversion device, only responsible for the completion of optical / electrical signal conversion, XFP other functions such as multiplexing / demultiplexing, 64B / 66B codec and so on by the circuit board chip. XFP optical modules can easily achieve high port density applications, because XFP occupies a printed circuit board (PCB) area only Xenpak 20%, power consumption is only 1.5 ~ 2W, it can be used to achieve up to 16 port line card. XFP interface with the circuit board using 10G serial circuit interface (XFI). Now there are manufacturers to provide XSBI-to-XFI and XAUI-to-XFI chip, XGMII-to-XFI chip manufacturers are also in the development. Because XFP is only an optical transceiver, XFP it is generally applicable to 10G Ethernet, 10GFC and OC-192 SDH, regardless of the protocol implementation. The universality of the application is beneficial to the equipment manufacturer to increase the purchase quantity, so as to reduce the cost. In addition, XFP provides a two-wire serial interface, XFP can achieve data diagnostics, real-time monitoring of various parameters of the optical module, such as temperature, laser bias current, send optical power, receive optical power, operating voltage. XFP is a standardized package for serial 10G optical transceivers. XFP It is independent of the protocol and fully complies with the following standards: 10G Ethernet, 10G Fiber Channel, SONET / OC-192 and SDH / STM-64. 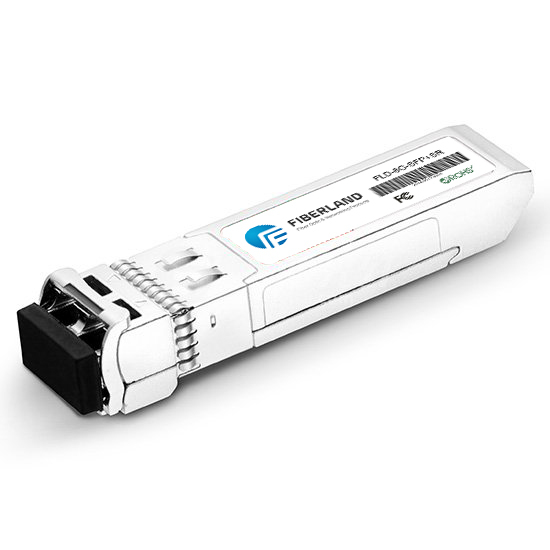 The XFP optical transceiver module is used for fiber-optic connections in data communications and telecommunications networks and has the advantage of having a smaller footprint than other 10G optical transponders such as XENPAK, X2. XFP The motherboard's electrical interface is a standardized 10G serial interface called XFI.